Karnataka 2nd PUC result has been announced and will be available on websites shortly. Students can find the 2nd PUC result on PUE website pue.kar.nic.in and karresults.nic.in. The overall pass percentage has increased by 2.15%. The pass percentage among girl students is 68.2%. The pass percentage among science students is 66.58% and it is 66.39% in Commerce. 80 colleges have recorded a total of 100% pass. 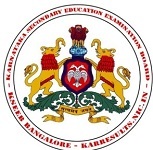 Karnataka Secondary Education Examination Board conducts the board exams for class 10 and 12 every year. Last year, around 6,90,150 candidates appeared for the PUC exams. Out of the total candidates, about 3,52,292 were girls and 3,37,860 were boys. This year, the numbers of the students could be the same. The students who will enroll in the exams will be able to see the outcome of their hard work in the fourth week of April 2019. • Download and take a print out of the Results.